This sword belongs to Jyo-Jyo saku ranking. Habaki :copper gold color single habaki. Blade length : 58.4 cm or 22.99 inches. Sori :1.3cm or 0.51 inches. Width at the hamachi : 3.33cm or 1.31 inches. Width at the Kissaki : 2.29 cm or 0.90 inches. Kasane : 0.7cm or 0.27 inches. Era : Edo period Kanei-Kanbun era. Jigane :Koitame hada well grained with jinie attach nice texture. Shinogi ji:Koitame hada and small masame hada mixed. Boshi: Notare and round like Jizo style. and achived Ho-ki Kami at Kanei 10th and he became Nyudo age 60.
this sword looks 2nd generation according to the Shinto Taikan. Both swords are almost same quality. Saya : Drak reddish brown Saya. Tsuba : Mokko shape Shakudo Tsuba, flower is engraved with gold color. Menuki : Shakudo, flower is engraved with gold color. 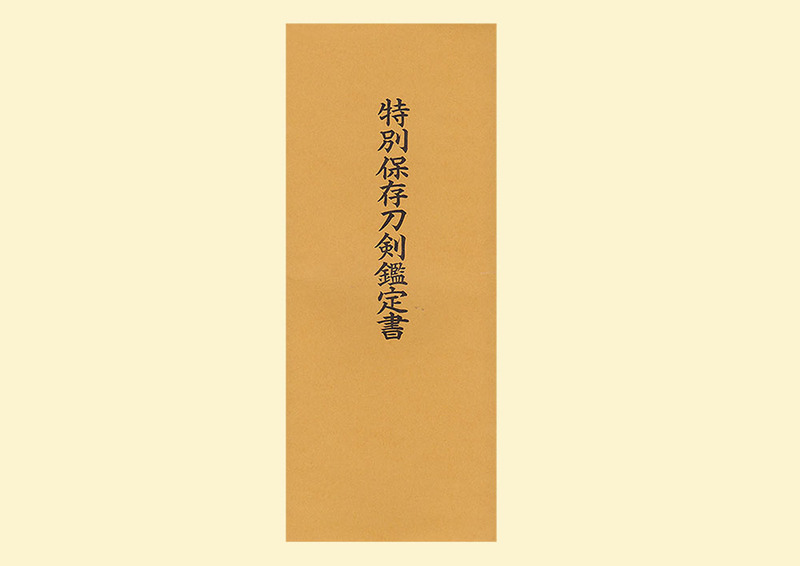 Fuchikashira: Shakudo Nanako, flower is engraved with gold color. Nikuoki(nice volume)and long ookissaki style boshi nice looking shape. taught Kendo to his master Tokugawa Mitsutomo Shinkage ryu. It is reported that Yagyu Toshikane loved Iwari Hokki Kami Nobutaka. by the way mass productive items and also damaged sword while battling enemies. But by and by Samurai want to hold nicer swords as samurai's spilit. Also sword makers needed to consumers against decreasing the number demanding swords. They tried to make higher quality swords and accepted their demanding. cheap swords but at peaceful age, samurais wanted to obtain good quality swords. )Aoi Art estimation paper : whole Oshigata.